Zinc Carbon specialist lantern battery with Spring Terminals or Screw terminal connections. 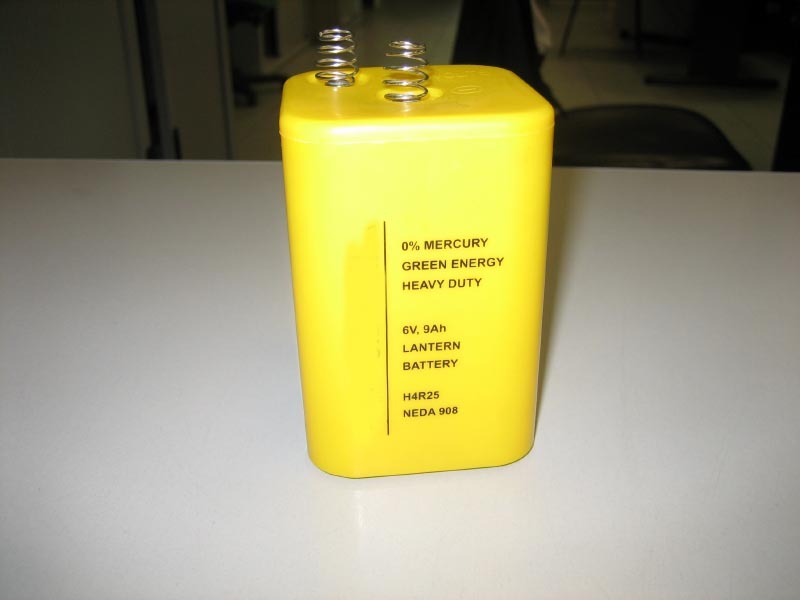 Specifications︰ Description BATTERY, 6V H.D. Ideal for industrial flashlight, lanterns, warning lamps, roadworks, etc. Advantages︰ Now there's no need to nick the roadworks flashing beacon just to get the battery!!. Here it is - your very own for tinkering with. From Eveready the battery contains no mercury cadmium, less damage to the environment Ideal foryour electrical and camping needs - and at a very good price. 2).NO MERCURY CADMIUM : less damage to environment.